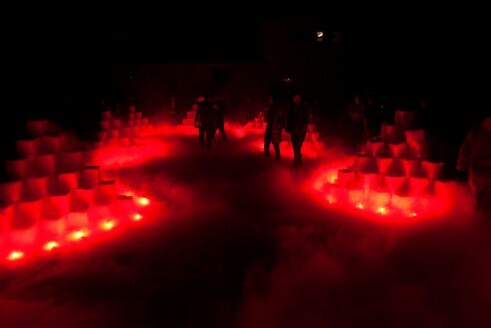 Judy Chicago and Materials & Applications, “Sublime Environment,” 2012. Photo: Donald Woodman. At Art Los Angeles Contemporary, Barker Hangar, Santa Monica, 1/19/12. Everyday, Suzanne Lacy and young women will mark a map of Los Angeles with the previous day’s police reports. Downtown. Learn more.